Games A Plunder: Can you spell SCRABBLE w-i-n-n-e-r? There’s a new SCRABBLE champion in town. 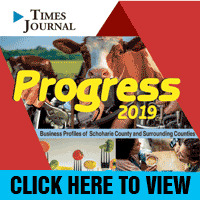 The team from Games A Plunder turned back challenges from previous winners to take the 11th annual SCRABBLE tournament hosted by Literacy New York––Fulton, Montgomery and Schoharie Counties. Held Saturday at Radez School in Richmondville, the tournament featured 23 teams, all competing for bragging rights and prize money. And while green is the color of prize money, it was also the color of the day. Volunteers wore green ‘READ’ tee shirts, and many players wore St. Patrick’s Day garb. 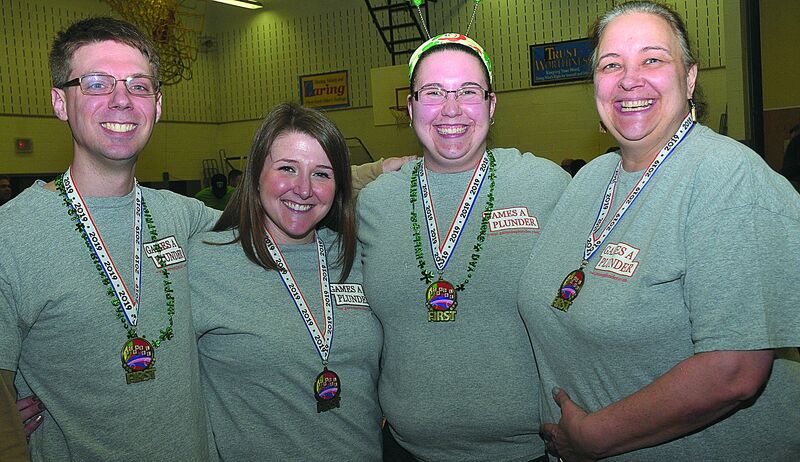 When the letter tiles were boxed at the end, the Games A Plunder’s Michael Willman, April Islip, Brenda All and Melissa Kennison picked up the $200 grand prize. The second-, third-, and fourth-place teams won $100: C-RCS Teachers Association, Theory of Relativity and Sterling Insurance Company. Emcee Brian Dineen randomly drew a team from the remaining teams, and You’re Verbing my Noun won $100. The tournament had three games, all with different rules, with the score of the third game being doubled. Games A Plunder trailed several teams––including a couple of past winners––going into the third game but scored a heavy total there to win. There were other winners Saturday, too. Players took home prizes they won in a 30-item raffle, and trivia contests between SCRABBLE games also resulted in prizes. And one big winner was Literacy New York. The tournament is the major fundraiser for the organization, which teaches adults how to read. The tournament raised $13,700, with pledges still coming in. Several special donations came in Saturday. A volunteer literacy tutor donated $700. And River Doherty presented Ms. Cardilli with a $400 donation from Tikuma Island, a children’s group at Fusion Community Church. River said the donation was important to her because of her reading development and interest in helping others. Many lent a hand at the tournament. Literacy tutors were judges for the teams, custodian Dave Graham helped set up the tables in the gym, and Steve and Joanne Salerno and their staff from Justine’s provided a buffet breakfast at no charge.